In May this year, India had tabled a resolution at WHO for mHealth, which was supported by over 30 nations. This clearly signals India’s intent to be a global leader in Digital Health. Digital Health has the potential to revolutionize how populations interact with national health services and also strengthen health systems. India is now embarking on a futuristic journey to bridge the healthcare divide between have’s and have-nots using digital health tools. We have a number of projects that will extensively deploy technology. The Ministry of Health & Family Welfare has been taking several impactful initiatives in the field of Digital Health. Our Hon’ble Prime Minister has envisioned for Digital Platform & Electronic Health to be optimally leveraged so as to meet the key challenges posed to us in health sector e.g. shortage of health human resource, accessibility of healthcare infrastructure, affordability of healthcare services etc. Electronic Health Records (EHRs) of citizens are envisaged to be created for ensuring continuity of care and other associated benefits. Delivery of services to citizens through “online mode” is at core of the overall electronic health ecosystem being talked about. Major I.T. initiatives by Ministry include various mHealth initiatives for improving efficiency and efficacy of public healthcare across the country under the Digita India Programme. For example, the Vaccine Tracker mobile application support parents in tracking immunization status of their children and helps them in ensuring complete and timely vaccination. The India Fights Dengue mobile application provides interactive information on identification of symptoms of Dengue and links users to nearest hospitals and blood banks The Swasth Bharat (Health India) mobile application provides detailed information on healthy lifestyle, disease conditions and their symptoms, treatment options, first aid and public health alerts. Through our Kilkari mobile app initiative, we are sending audio messages about pregnancy, child birth and child care directly to families and parents. A mobile based audio training course has been developed for expanding the knowledge of our village based voluntary health workforce. Our other mHealth initiatives include National Health Portal, Online Registration System, E-Rakt Kosh, ANM Online (ANMOL), telemedicine projects (in remote & inaccessible areas), Tobacco Cessation Programme and leveraging mobile phones for reaching patients of Tuberculosis. Soon the Ministry will launch the Stress management app. These initiatives are ensuing remarkable improvement in healthcare delivery and management. For example Online Registration System (ORS) for public hospitals, launched in July 2015, has been able to bring about a significant change in the patient registration and appointment system and as a result patients now don’t need to wait at hospitals for taking appointments. As on date all AIIMS, most of the central government hospitals and many state government hospitals are linked through ORS. In order to augment the overall Electronic Health ecosystem further, the Ministry has envisaged setting up Integrated Health Information Platform (IHIP). This is a major step in the direction of addressing the existing situation of ‘electronic silos’ in health system. Interoperability and data exchange amongst Health IT Systems is almost lacking. IHIP is expected to address various key issues and challenges such as fragmented information systems, accessibility & quality of data, duplicate information systems and most important lack of common EHR System. Today, most of the patient records get trapped in multiple silos. IHIP would work in the direction to enable the EHRs of citizens to be made available nationwide with the help of Health Information Exchange. IHIP would in due course facilitate better health services to citizens and improve efficiency of healthcare services and programmes through optimal utilization of resources, availability of information for better decision and reduction in medical errors etc. With help of EHRs, cost reduction in medical cost is expected as requirement of redundant medical tests would be checked. Citizens would be empowered through online access to IHIP to view their health records and also to upload other medical records in order to create and maintain personal health record. In line with Startup India initiative, IHIP would also provide an opportunity to Health IT start-ups to host their innovative solutions for use by different stakeholders. States and Union Territories (UTs) are being supported for implementation of hospital information system at hospitals and health centres for facilitating creation of EHRs. Ministry has already started the process for setting up IHIP and it is expected to be ready for pilot in select States/UTs early next financial year. The platform will by then be ready for progressive roll-out all over the country. Setting up of the National Digital Health Authority (NDHA) is another milestone for Indian Healthcare IT. The various regulatory aspects of digital health deployment like privacy, security, access, disclosure, exchange. would be taken care of by National Digital Health Authority (NDHA) proposed to be set up by MoHFW. The work on the same is already on , and this will institutionalize the support for digital health. National Medical Library’s ERMED Consortium is an initiative taken by the MOHFW to develop nationwide electronic information resources in the field of medicine . The consortium is coordinated through its headquarter set up at the NML since 2008. At present, 70 state and centrally funded Government Institutions (including all AIIMS) from 24 states are selected as its members. One of the advantages of ERMED consortium is that it not only provides current issue of Journals from leading publishers , but also facilitates its users with the archival issues (print as well as electronic) for example, British Medical Journal, an International peer reviewed Medical journal is fully searchable, with an archival backup since 1840. National Medical Library have a distinction of having BMJ since 1840 in print format. Print archive available since Oct 1840 to Dec 1993, and online archive available Jan 1994 to till date, and The BJU International is available since 1929 with full-text archive. One of the biggest strength of NML is its vast collection of 7.5 lakh volumes of books, reports, bound volume of journals and other literature, and adds latest books and journals every year. It also subscribes to 1500 current periodicals. The library has good collection of 19th century medical literature. National Medical College network : Under National Medical College Network (NMCN), scheme , 50 Govt. 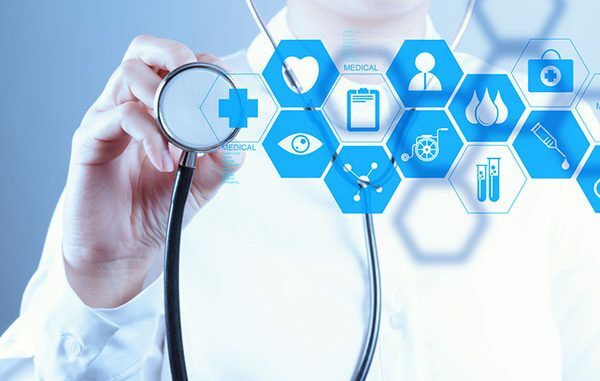 Medical Colleges are being inter-linked with the purpose of Tele-education, e-Learning and Online Medical Consultation by utilising the connectivity provided by National Knowledge Network (NKN). Under this imitative, a virtual layer of Specialty/ Super Specialty doctors from these Medical colleges would also be created for providing “Online Medical Consultation” facility to citizens which will be similar to OPD facility but in a virtual way through a web-portal. This will help patients from rural, remote and urban areas to access doctors and specialists easily even from their home location through their Smart Phones, through Government healthcare institutions (PHC/CHC) and through Common Service Centers (CSCs). Ministry is committed to financially support all the digital initiatives, and looks for multi-stakeholder engagement and private public partnerships to scale up these initiatives. Lets make a healthier India utilizing the tools of technology .